A photograph of Deputy Samuel Smith, who was killed in an automobile accident on California Road in Franklin County, Kansas, while responding to a domestic disturbance call. His patrol car left the roadway for an unknown reason and struck a tree before bursting into flames. 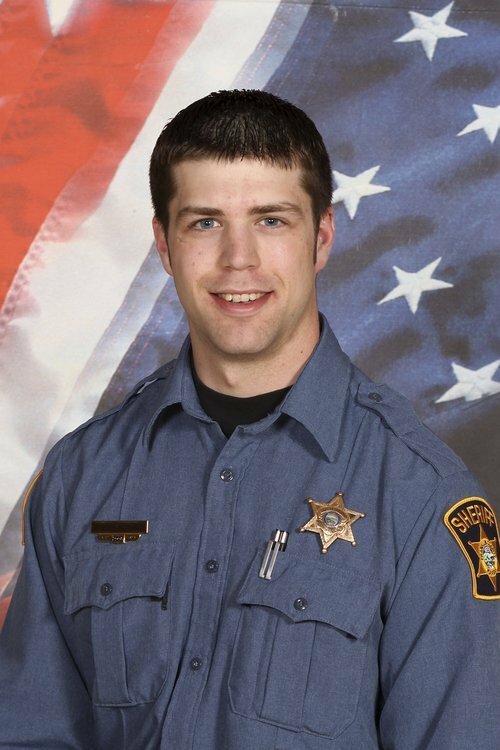 Deputy Smith served with the Franklin County Sheriff's Office for nine months.